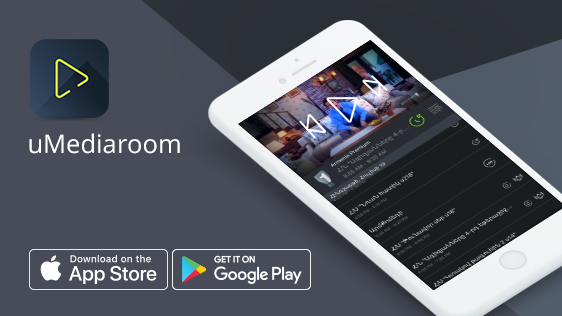 Today, Ucom has launched the paid 3.0 version of the uMediaroom mobile TV application for iOS and Android smartphones. From now on, anyone with an iOS/ Android smartphone will be able to purchase a subscription to TV-channels right from the uMediaroom app. The transaction is currently being performed in Armenia only via in-app purchases scheme. Let us note, that by downloading the uMediaroom app from Google Play Store or App Store, the Android or iOS smartphone users will enjoy the TV-content of more than 80 quality TV-channels, due to Catch-up function they will not miss any program broadcast up to 2 days ago, they will be able to create their own list of favorite TV-channels and set reminders for the favorite TV-programs. 3.0 update also includes improvements on iPhone X/Xs compatibility. «To subscribe to one of the offered tariff plans, namely Basic (20 TV-channels), Standard (55 TV-channels) or Premium (83 TV-channels), one needs to open the app and tap “Sign up”, then tap “Create Account”. After successfull registration of an account in the app, one will be able to purchase a tariff plan, which can be upgraded or downgraded at any time», said Hayk Yesayan, the Co-Founder and Director General at Ucom. Let us remind, that the application can be downloaded both from the App Store via goo.gl/HxqjHT link and Google Play via goo.gl/ZofBxU link.